The release of Solid Edge ST5 was announced on 12th June 2012 at Siemens PLM Software's Solid Edge University 2012 held in Nashville, USA. 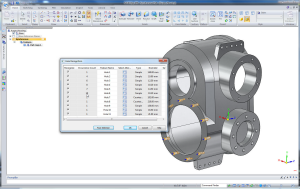 The ST5 release of Solid Edge according to Siemens PLM Software delivers more than 1,300 new customer driven productivity enhancements. To help designers and engineers understand and master ST5 this Solid Edge ST5 Update Training course is available now. The curriculum is perfect for experienced users who want to stay current with their knowledge of Solid Edge. 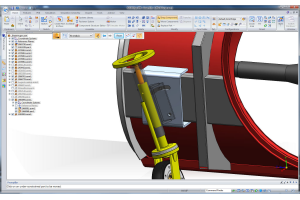 It will include many Solid Edge ST5 Tutorials accessible on-line 24/7. The course sessions provide tuition equivalent to a one/two day classroom training course. This curriculum can be used to supplement or replace traditional classroom training and/or attendance at Solid Edge University 2012. It has been proven that users need to reinforce education and knowledge over a period of time to master the new techniques and concepts. This is where Solid Mastermind comes into its own. The training is delivered on-line using streaming video tutorials that can be accessed 24/7 from anywhere you can connect to the internet. It allows your education to be delivered on a continuous on-going basis which is proven to be the most effective way of learning. Each tutorial is enhanced by a downloadable goal sheet and in many cases sample files for you to use in the assignments. To obtain the maximum benefits for you, and your business, Solid Mastermind should be at the heart of both your initial and on-going education of Solid Edge. This ST5 Update course will allow you to stay current with Solid Edge functionality and best practices, and at a minimal cost. Far less that that for attending classroom training. Also have you ever undertaken training where you get your money back if you're not completely satisfied? 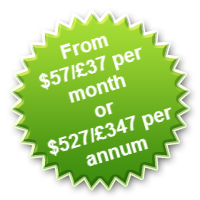 Well there is a 7 day money back guarantee with Solid Mastermind.